Many students ask “Do I really take only one class at Evergreen?” The answer is yes. That’s why we call them programs. At Evergreen you will usually take a full course load in a single 12–16-credit academic program that integrates different subjects. In this way, you’ll explore a central idea or theme that’s interesting to you. We also offer a selection of 2–6-credit, single-subject courses to complement what you’re studying. Example: The Earth Dynamics program at Evergreen asks how humans have changed local environments and large-scale global processes. It covers all the same subjects as a traditional education, but also explores in depth how they interconnect. Every year we create a fresh, topical, and engaging curriculum. See what programs we offer. Faculty members from different subject areas teach programs in teams of two, three, or four. They draw on their separate disciplines to help you develop tools to navigate real-world issues. Many programs last two or even three quarters, building on themes developed in previous quarters. You’ll work in an atmosphere of shared learning with groups of about 25 students. As an upper-level student, you can create your own program with an individual learning contract. You may also have the opportunity to do research or internships. Learn more about individual learning contracts. Professors often teach in teams of two to four. Unlike traditional schedules, Evergreen programs create a balance between modes of learning. Programs can include lectures, labs, readings, seminars, field study and research projects. You’ll stay engaged as you build familiarity within the disciplines you study. You’ll have time to work on collaborative projects with your fellow students. Your program may also feature special activities like weeklong field trips. As you take classes, you connect what you learn into an area of emphasis. This is sort of like declaring a major, but you get to decide how you get there. Learn more about your area of emphasis. A generic letter grade just can’t capture who you really are. Your individual growth and achievements will stand out in every evaluation you get at Evergreen. Learn more about how you get evaluated. 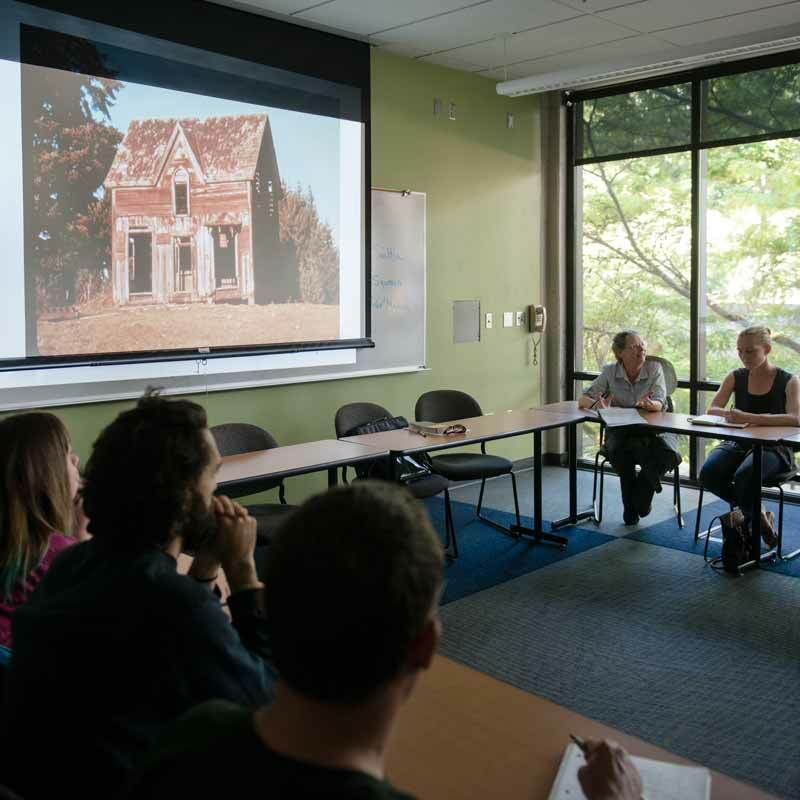 Evergreen also offers a number of single-subject courses that are available to all students. These are similar to the classes that you'd find at a traditional college or university. What Can I Study at Evergreen? Build your own academic pathway out of more than 60 Fields of Study rather than choosing a pre-planned major. If you’re currently enrolled at Evergreen, find out how to register.